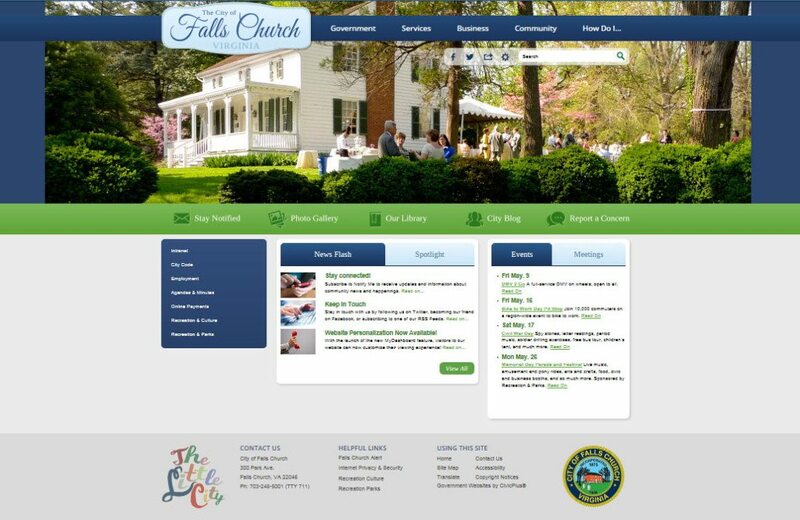 The City of Falls Church will debut its new website this week, pictured above in an early screenshot provided to the News-Press. A screenshot of the City websites previous design, which remained unchanged for seven years, is pictured below. 411oldscreenshotThe City of Falls Church website was so old, it just was worth fixing. That was the prognosis delivered to Susan Finarelli, the City communications director, when she talked to IT about repairing the websites faulty search function. So began the year-long process of redesigning Falls Church primary Internet presence. The redesigned website goes live Wednesday night, and Finarelli believes that it will provide visitors with easier access to the information they need in a format that is more appealing visually. Typically such websites are revamped every four years, Finarelli says. Regular redesigns account for changes in technology and web aesthetics. But due to years of post-recession belt-tightening at City Hall, and, to a lesser extent, turnover in the Office of Communications, the website design had gone without an update for seven years. It was time, Finarelli said.It was definitely time. Last December, the City awarded CivicPlus a contract for the project with an up-front cost of $20,800. The Kansas-based web development business specializes in local government websites. We’re a small town in a big metropolitan area; we’re very unique in that, and we felt they were going to be able to capture our community in the way that we wanted, Finarelli said. The most appreciable change on the new website is visual. The old site was drab, Finarelli said, and the new site is vibrant. A wide banner at the top of the homepage showcases a slideshow display of City scenes. The City of Falls Church, we have so much character, so this will be a great way to showcase it, Finarelli said, adding that she like to update this new feature with pictures from community events and archival photos. Aesthetic upgrades were made as part of the redesign, but the project also considered the site functionality, the way citizens use it to gather information. Finarelli said that the organization of the old website was more conducive to staff use than citizen use, and the redesign shifts that focus. We’re really trying to create a user-friendly experience from the point of view of the community, of the typical community member, Finarelli said. Scrolling across five tabs at the very top of the homepage labeled Government, Services, Business, Community, and How Do I “ opens up large menus with links to information about various offices and services. The How Do I tab, in particular, has no corollary on the old website and Finarelli believes it will be the most-used navigational device on the site. I think its going to be a really useful tool for the community to come in and find exactly what they’re looking for, Finarelli said, adding that the menu would offer answers to common inquiries such as how to apply for licenses and how to contact City offices. A second row of links at the center of the new websites homepage includes a link to the Mary Riley Styles Public Library the most visited section of the old website. The way the public used the old site was accounted for in the new design. In addition to analytics from the old website, a public survey gathered direct feedback from website users. Largely the survey confirmed what the City already knew about its website. Many citizens were having troubles finding the calendar of events on the old website. On the new websites homepage, upcoming entries are listed centrally under tabs for events and meetings, which link to the website more robust calendar listings. Now, Finarelli explained, visitors can view all of the City events or separate calendars of relevant events. Through the Notify Me function, they can also register accounts on the website and sign up to receive event updates based on their interests. A website visitor could, for example, sign up for email and/or text message alerts for when City Council meetings are scheduled or cancelled, and for when meeting agendas are posted or amended. A new tool on the new website, Report a Concern, allows visitors to privately submit requests for maintenance to the appropriate City department through a fillable form. Registered website users could report a pothole in need of repair, snap a photo to attach to the report, and check up on the status of their request all on the website. Additionally, special features on City programs and news alerts from Finarelli office are centrally located on the new website homepage. The launch of the newly redesigned website is the final step in changing the way the City uses its website to connect with citizens. Finarelli looks forward to using more ample data provided by the CivicPlus system to see how visitors engage with the website. As a component of the company contract, with an annual fee of $9,600 carved out of future City communications budgets, CivicPlus will redesign the website every four years. Finarelli says the timeline will allow the City to regularly reevaluate and refresh the website. The City uses its website to communicate with the public, and Finarelli believes that the new website will foster in visitors a sense that their government is transparent in its functions. 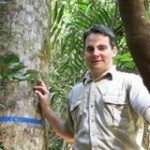 Previous Previous post: How Important Is Responsive Web Design?